Posted in: Pro-line, Radio Control, RPM, Traxxas. 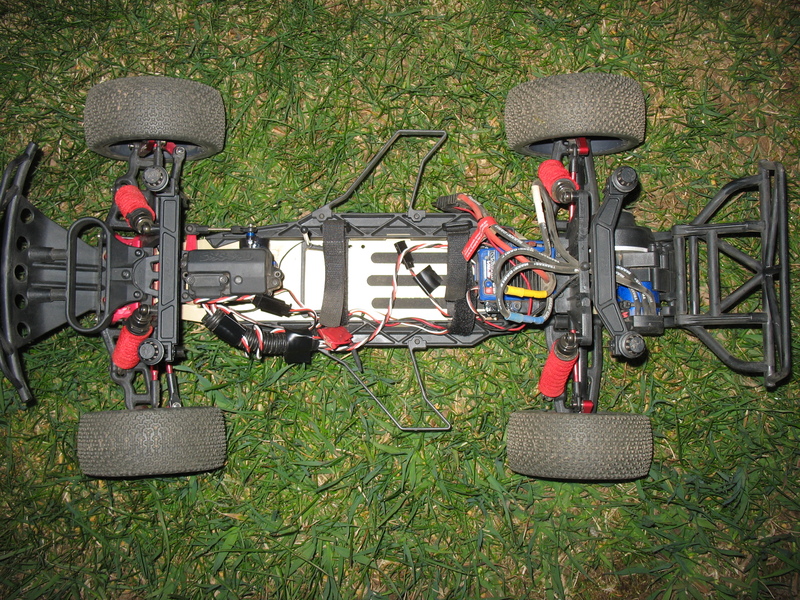 Tagged: LCG Chassis, RC. This year’s winter build was a Traxxas Slash 2wd. The vehicle has many different upgrades. At this point it has had about 10 battery packs through it and we thought we would share our thoughts. If you want to compare our original thoughts, they were posted in our Winter Build Article. The truck handles very well. The Slash can easily get into and out of the corners. The rollover during cornering is gone. The chassis handles the jumps great making the landings a breeze. This chassis has been in some pretty big crashes. It is tough. The nerf bars which we thought may be a weak point have held up great. A couple of the screws that go from the aluminum chassis into plastic parts are starting to back out. (This is easily solved with some CA Glue). I am not really a fan of the Velcro straps, they do ok, but there could be problems in the future. They have really quieted much of the body rattle you get when driving over a rough surface. These have done a great job holding the body down. The problem comes if you find yourself having a bad day at the track and frequently need to remove the body to fix something. These can be a bit troublesome. They do an incredible job keeping the shocks clean and functioning properly. They haven’t fallen down and they look great. They were purchased from GritBusters on ebay. As expected there have been no problems. This gear box is very quiet compared to the stock setup. Motor temps are noticeably cooler as well. The following parts were installed. Knuckle Hubs front and rear, Caster Blocks, Bulkhead, Turnbuckle Camber Link Set, Turnbuckles Toe Links and Steering Bellcranks. The only issue we had was with the Bellcranks. This version has no servo saver and it may only be a coincidence that we lost 2 servos in the span of an hour. After installing a Traxxas Servo Saver there has been no more damage.